Word of warning for our fellow classical/ acoustic guitar players: don't forget that during the winter season the air is a lot more dry inside our homes, and so the lack of humidity can be dangerous to our instruments. I never really bothered about the subject until now that I've bought a nicer classical guitar. 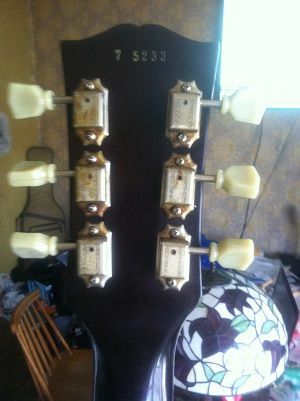 While on solid body guitars the lack of humidity isn't that hazardous, translating usually only in the frets sticking out of the fretboard (or, in fact, in the fretboard wood shrinking), classical and acoustic guitars can get shrunken tops and, in the worst case scenario, cracks in the wood. You can buy a guitar humidifier or make your own using stuff you probably already have around the house, namely a zip lock bag and a sponge. Simply cut some small holes in the bag, wet the sponge, squeeze all the water you can out of it so that it doesn't drip, put it in the bag and place your humidifier under the neck inside the case. If your guitar show signs of dry woods, you can place it in between the strings, inside the soundhole, but beware it can produce a lot of humidity in the air so always inspect your guitar daily. I recently bought the Boveda kit for my acoustic instrument(s), after being recommended it by a local boutique and acclaimed workshop. Here in Norway it costs me about $50-60 unfortunately, but I might be able to save some money if I buy refills direct. So far it seems to be worth its price, since it's a two-way system. My guitar plays exactly as it did when it arrived brand new from the factory to our store and I fell in love with it I don't want to take any chances given the climate. The entire AFD album tab book to add to the collection. 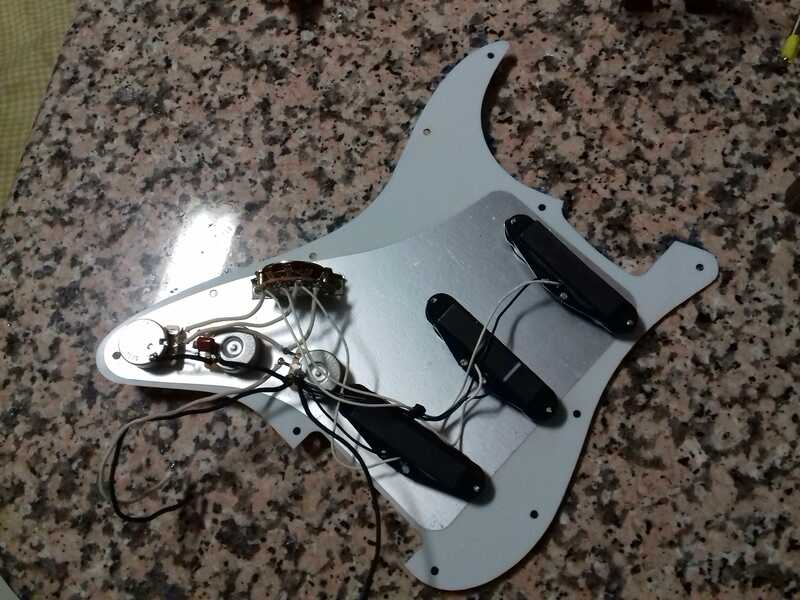 Yesterday I bought a new Fender 5-way switch for my upgrade project in which I'm upgrading all the electronics of my first guitar, a Squier SE, with quality durable parts. It came with both a black and a white switch tips. Well, for some reason, Asian guitars usually come with these cone-shaped tips, unlike the teardrop kind of shaped tips from genuine Fenders. The white one would of course go into my Squier, but I then realised my MIJ also had a conic black tip. Why not, I went ahead and did the first little mod ever to it by putting the teardrop Fender tip - much more stylish now, imo! Enough rambling now, hopefully by the next month the Squier upgrade will be finished, I can't wait to show you guys the results. Great news, my guitar is finally in working condition again! Keeping it short, I replaced all the electronics with new quality parts: Oak Grigsby 5-way switch, CTS pots, Switchcraft jack and vintage cloth wire. 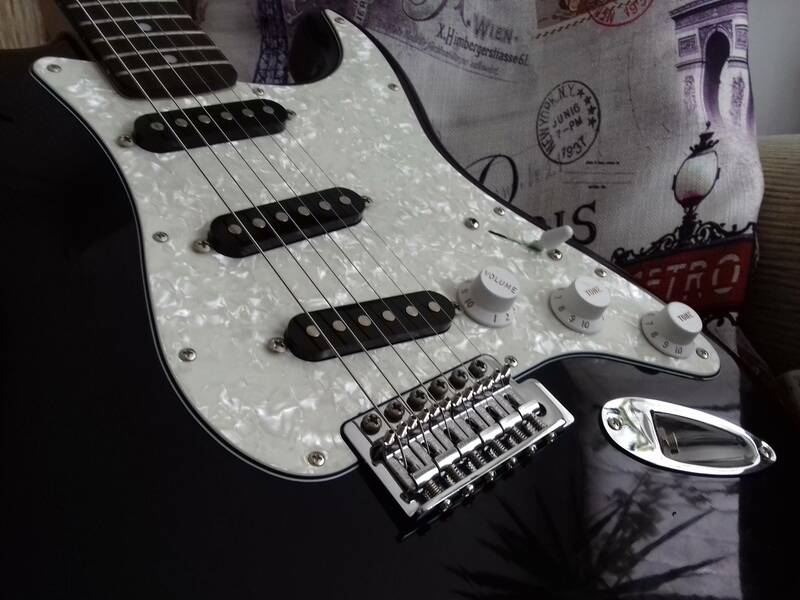 For the pickups, I've chosen a set of ceramic single coils from a '92 Squier Silver Series MIJ from the highly praised Fuji-gen factory - the same that came in all 80s Japanese Squiers. While they sell for very cheap and even though they're easily underestimated being ceramics, their sound is amazingly great and really have plenty of quality. Also, I've wired it using the famous blender pot mod that includes a mater tone pot and the remaining one blends into the signal either the neck or bridge pup, allowing the neck+bridge pickup combo - it's sounds great too! Wiring diagram: Lindy Fralin Strat master tone with blender pot. Here she is at all its glory. I ultimately decided to keep the looks of it stock because I think the color and stock pickguard combo look quite classy and nice. The pearloid pickguard from the SE line doesn't look cheap at all (unlike the "tortoise" one from the sunburst model - avoid! ), plus it doesn't match the pickguard from any other line. I might eventually replace the pickup covers with white ones, but I don't find it odd at all with the black ones instead either. Finally, I can't point out enough times the importance of a proper setup. For a long time I didn't knew about it and, since I play the classical guitar for almost as long as the electric, I assumed the super high action was completely normal. The new bridge without the rotten action screws stuck to the saddles finally allowed to correct everything and it now plays, feels and sounds as a completely different instrument from the Squier I've learnt how to play the guitar on. I'm so happy with these mods I did and not only I've learnt a lot from the experience, it made me love my first guitar again. The new hardware and plastics from Fender, even though not overly expensive, really made a difference on the looks department as well. If it wasn't for the pickup covers it would look like stock from a distance, but the difference in quality in the parts is visible as well. In the future I'll have to level the frets, even though they aren't that bad and the high action was mostly to blame for the poor feel. Also, I'm considering getting a Graph Tech nut to improve the tuning stability when using the bridge, considering it's still bad in that matter. I'll post some sound demos ASAP! I ordered a 25th anniversary Custom 24 just before ordering cutoff in 2010, I ordered sapphire smokeburst with a regular neck carve and 10 top. I recieved the guitar spring 2011, but it came the wrong color, Long and Mcquade were quick to fix this and a month later I had my blue. I had that guitar about a year and I fell into some financial troubles due to starting a crappy job, so I had to sell it to pay bills. Since then Ive had probably 20 or so guitars from just about every major brand except PRS, I wanted a rotary switch or a 3 way toggle, I hate the blade switch on a PRS... IMO it looks out of place... anyway all those other guitars just never felt right, so I kept going back and forth on different Gibson customs until I finally figured out I should just try to find one like my sapphire. That was the hard part, most of the ones I seen were being sold from japan for waaaayyyyy too much in the condition they were in, then one popped up on Reverb. 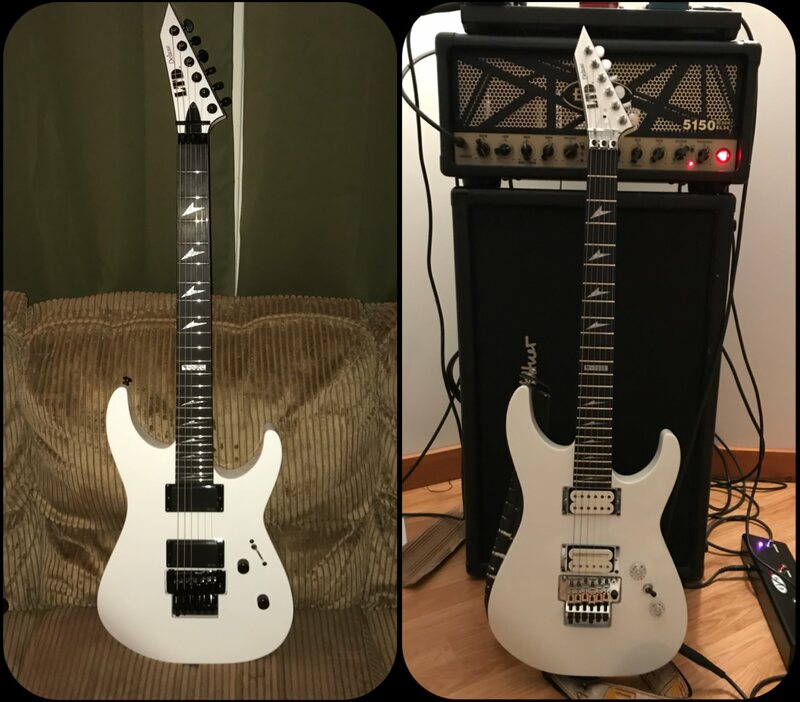 I had 1/2 of the money already so I messaged the seller and told him the backstory and that I wanted the guitar. Im a long haul trucker so I could pick it up no probalem and save the headache of shipping. Fast forward a couple weeks and I had the money to buy the guitar, messaged the seller and told him when Id be there, he replied back with perfect keep me posted. The day before I get there I message him... no reply, wich was odd because his prior replies were within a few hours tops.. message him day of.. nothing. End up going home empty handed and really bummed, Im about to either order car parts for my Challenger or a Gibson and my wife tells me to be patient and wait a week or two.... a couple weeks later I get a message on Reverb, its the guys son, explained there had been an emergency with his dad and hes in the hospital but will be alright and still wants to sell me the guitar. So I make arrangements to grt another load to the area and pick the guitar up, the guy was as nice as could be, end up standing there for almost 4 hours talking about guitars and everything under the sun..
My 2000/2001 Squier Affinity Stratocaster. 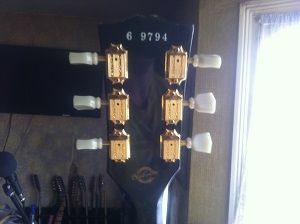 012 Giannini Strings, original pick-ups, 5 spring setup tremolo. 3 piece Dolphin pickguard (original squier pickguard broke apart a few years after I bought the guitar), pots and electronics have been replaced and the nect refretted. Very slim neck easy to hold even for very small hands. Have no idea what radius it is. It was made in October 2000 according to the date inside the body. But it was bought in Guitar Center in 2001. People like to say squier is a horrible stratocaster well I will say it is the best one I have handled so far. Fenders go for high prices and Squiers just because they are a secondary Fender brand the prices are very high too. Brazil only has very cheap plastic guitars, with very low level of fabrication. I know how heavy a Fender is, so I play my guitar and think it is very light. Well when I play a Michael or a Condor stratocaster I feel I dont even need a guitar strap to hold. How about the high volume buzz when you plug it? These cheap stratocasters go for around 600 reais. That is like 200 american dollars. A Squier Bullet Strat goes for 1800 reais. That is 600 american dollars. With 600 dollars you can buy six squiers in the USA. 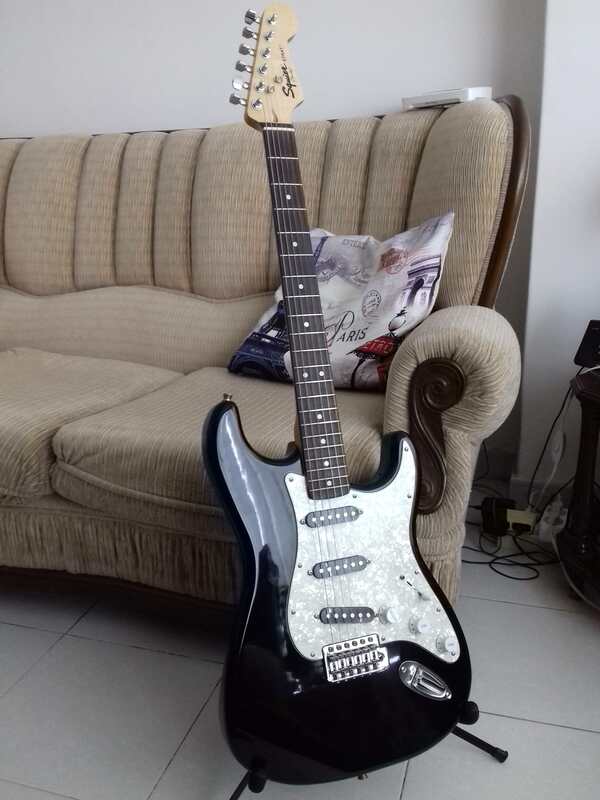 I am happy with my guitar, it plays very well and I have played mexican stratocasters with less vibe. People like to say squier is a horrible stratocaster well I will say it is the best one I have handled so far. I'm sure by now you give no sh*ts about people saying crap about your instrument, and you do fine. Nowadays the so called budget guitars can be amazing instruments, more often than not requiring only a proper set-up to play nicely. Also, they're super fun to mod the way you like them, something you'd surely think twice about on an expensive guitar. I find it curious Bullets sell for so expensive around there - are those as well made in China or Indonesia like what we have around Europe? Bullets are usually the lower-end models of Squier and inferior to Affinities, so unless those were Japanese-made (and even still...) I really don't get the reason for such high price. Finally, you may be interested in taking a look over squier-talk.com, folks over there are very friendly and you surely won't find snobs/ 15-year-old kids with rich parents talking sh*t about Squiers because that's what they hear others saying. Mine is a Crafted in China. It feels as good as a late 1970s fender. Not so heavy but the feel is almost the same. I was in the market for a parlor/parlour guitar after learning about them this year by way of this Parlor/Electric Hybrid out of Springfield, Oregon, USA. But then I heard one on YouTube plugged in and, it wasn't for me, but I still wanted a parlour guitar. I quickly began listening to them before settling on a sound I wanted. Turned out it was a 1940's Harmony Stella H929 WITHOUT the steel reinforced necks. 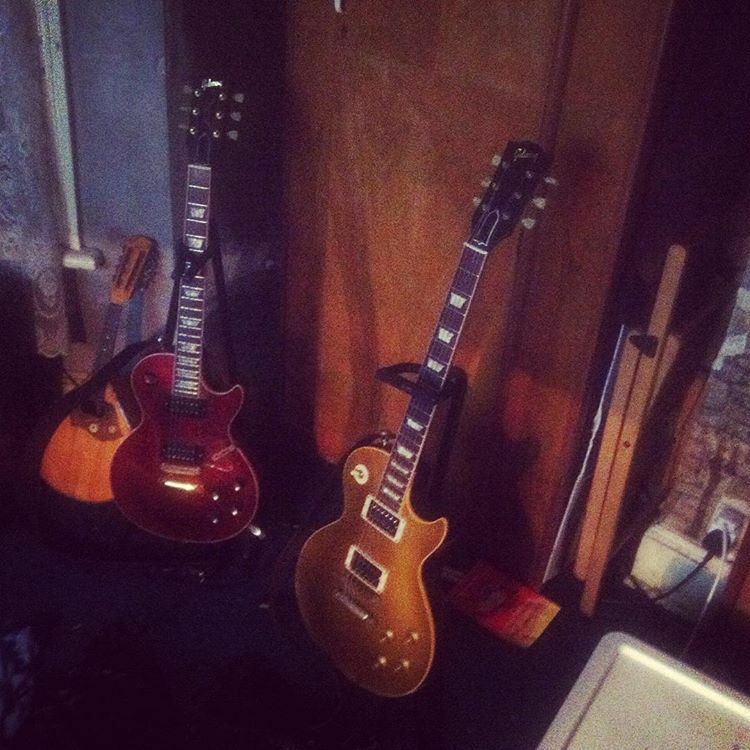 This was also after homing my ears down to the make of guitar I wanted before settling on a model. I had never heard of Harmony before then. I bought it, on Reverb.com from a guitar store in NYC, had it shipped, paid import duties, waited a week, it came fast. 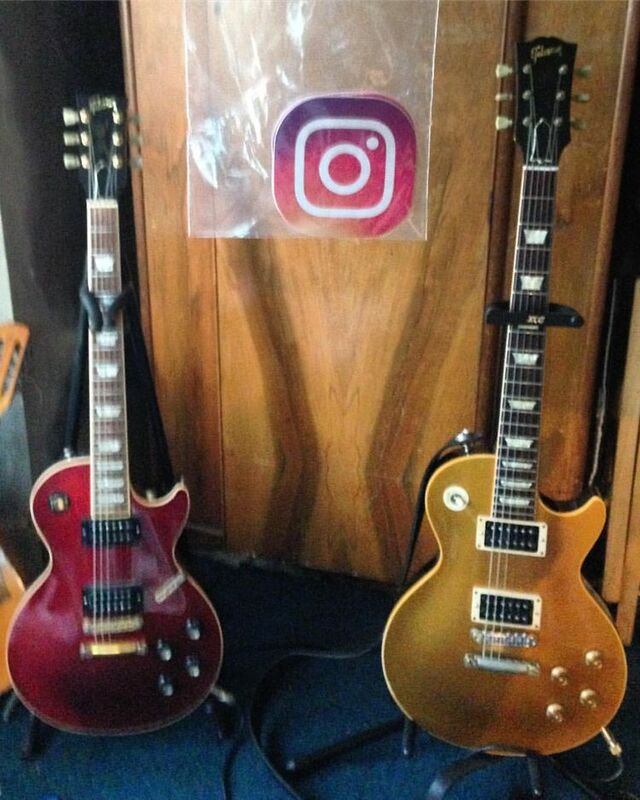 I mean, all things considered, it's a cool sounding guitar. They're cheap, and mass produced, but have a very nice sound. Elvis had one like mine (I found that out after I bought mine). I wanted a rarer one that was yellow/same guitar, rarer finish, I didn't want it because it was rarer, I only wanted it becaus the H929 with the same 1940's spec' that I heard and sold me the make and model guitar, was yellow, so naturally when shopping for that guitar, that's what I wanted... Turns out me and Elvis both have/had that much more common Tiger top. But had I have found a yellow one for sale, you could bet I'd have bought that instead; however, researching my guitar, it was cool to find that Elvis link. I just wanted a parlour guitar and this make/model sounded the coolest. As an added bonus, it's built to last, can take a knock or two and was built with camping and camp fires out in the woods in mind. I've got two Stella by Harmony guitars (bought the same time) (a 1969 12 String) and this parlor/parlour guitar. My nice pristine Stella Harmony 12 string fell over and hit a multi effect pedal head on as I was playing my Gibson R7 the other week... I picked it up wondering how much the damage would cost and even asked the guitar if it was okay... Much was the fall it took; That guitar was fine and I was reminded of the build quality on these Harmony Stella Guitars which is great for the price; not a scratch or a dent or nothing, I was impressed.